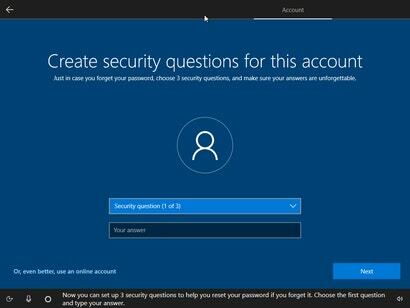 Password-recovery questions have been a part of Windows 10 for more than a year now, but you’ll never know they exist if you sign into your operating system using a Microsoft account. 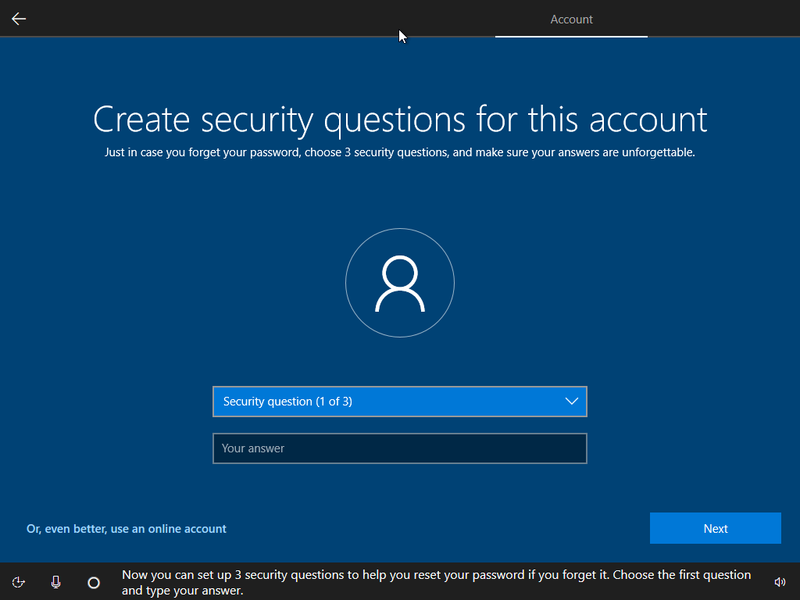 Use a local account when you’re first installing Windows, however, and you’ll be prompted to create three security questions that you can use to reset your password and log into your account—should you ever forget your credentials. Sounds convenient, right? 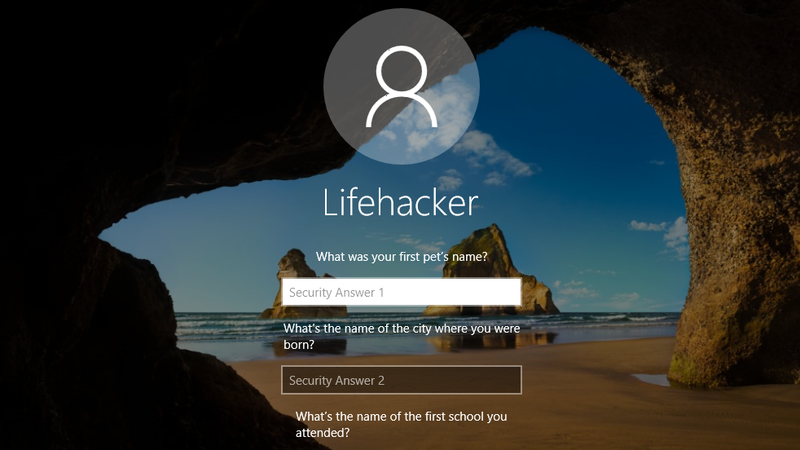 Unfortunately, security questions aren’t very great for account security, as we’ve previously covered. It’s not that a hacker is likely to guess the name of your high school, or your dog’s middle name. Since there’s no way to turn off these questions by default, all it takes is one successful break-in for an attacker to create a new security question on your behalf — and a permanent backdoor to your system. “The problem, the researchers said, is that the password reset questions are too easy to set and too hard to monitor in networks made up of hundreds or thousands of computers. 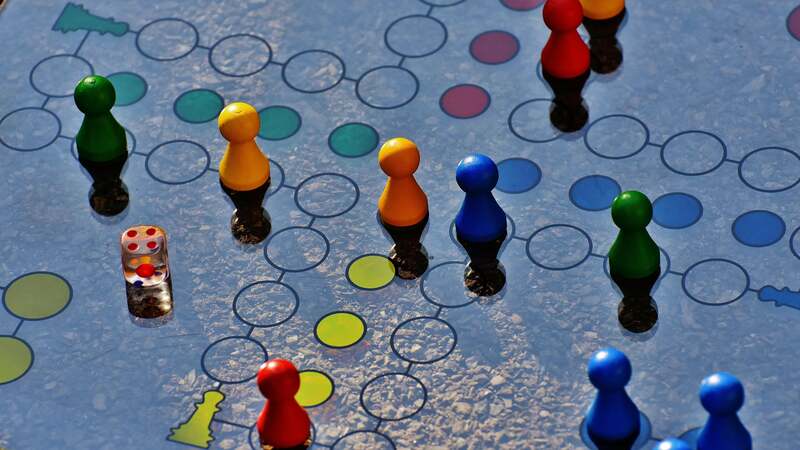 A single person with administrator credentials can remotely turn them on or change them on any Windows 10 machine and there’s no simple way for the changes to be monitored or changed. 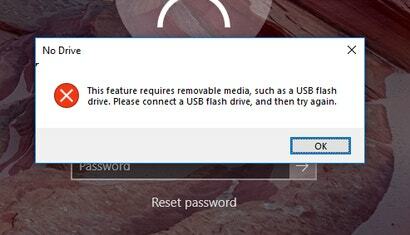 Using that command will pop up an error message when you try to select the “Reset password” option at the Windows 10 login screen. You’ll see a little warning that “This feature is disabled” when you go to recover your password, but you can safely ignore it. So secret; so safe. 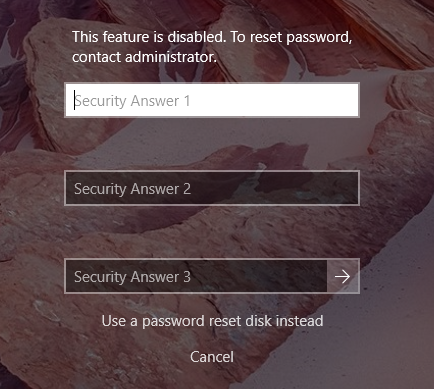 Can you still reset passwords using the old CMD.exe replaces the accessibility program trick? Seems somewhere between pointless and seriously broken to be having password reset questions on a home grade desktop PC, where physical access is a given.